A roundup of the latest smart bed and smart mattress technology to take your bedroom into the 21st century. Mattresses are not exactly a new invention, but you may be surprised to find out how old they are. According to a 2011 study the earliest known evidence of man-made bedding dates back to the middle Stone Age, and is estimated to be around 77 thousand years old. Fast forwarding through the millennia, humans have used every imaginable material to make their beds comfortable, from goatskins, to feathers to cotton and wool. But it was a 19th century innovation, the box-spring mattress that kickstarted the modern mattress industry, now worth billions every year. But despite a few modern innovations such as memory foam, innerspring and so-called ‘hybrids’, mattresses have remained essentially ‘dumb’ for all these years. In the 21st century however, all this has changed and manufacturers started to integrate cutting-edge sleep technology into ‘dumb’ mattresses. This trend created a new sector of the bedding market, the smart mattress and the smart bed. There’s no standardised definition of the term ‘smart mattress’ but it’s unofficially used to describe a mattress that incorporates sensors to analyse your sleep patterns, provide information about the quality of your sleep, and in some cases, actively improve your sleep. The smart mattresses currently on the market do this in a variety of ways. Some provide sleep tracking functions to measure sleep duration, sleep cycles, by monitoring your body movement, heart-rate and breathing. smart home IoT integration to connect to other smart home devices like Alexa, lighting, thermostats and door locks. Similarly there disagreement about exactly what a ‘smart bed’ actually is. Just Google and you’ll find multiple manufacturers making the claim that their product is the ‘world’s first truly smart bed’. Many of the new smart beds and mattresses are ‘connected’ technologies designed for the smart home of the 21st century. This is commonly known as the Internet of Things (IoT), whereby common household devices (lighting, thermostats, fridges, TVs etc) are able to communicate with each other via Wifi, Bluetooth or other means. IoT devices are often enabled by voice-assistants like the Amazon Echo’s Alexa or Google Home. Essentially, these devices allow you to issue spoken commands, such as “OK Google, switch on the bedroom lights“. In the case of a smart bed, this might be something along the lines of “Alexa, warm up my bed“. In addition, IoT devices can communicate via an online platform known as IFTTT which stands for ‘If This Then That’. IFTTT is a free service which allows anyone to create ‘recipes’ which are in essence simple software commands or applets. These recipes in turn hook can access over 500 different software and cloud platforms including Facebook, DropBox, Spotify and loads more. Every month over 1 billion applets are run on IFTTT and whilst IFTTT requires a little bit of geek-know to set up properly, the implications are broad. Currently, there aren’t that many ‘recipes’ for smart mattresses and smart beds, but there a few sleep-related things you can do, such as ‘start brewing your coffee when you hit the snooze button’. This might seem a like a trivial use of the tech, but as more users adopt smart bed technology, more integrations will undoubtably emerge. 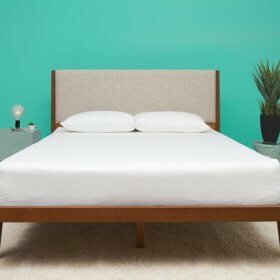 So, without further ado, let’s take a look at the best smart bed and smart mattress products that are currently on the market. One of the most recent and successful entries in the smart bed/mattress world is a company called Eight, which makes a range of mattresses which you can buy with or without the Eight Sleep Tracker, a technology-packed mattress cover and the first product the company made. Eight was originally called Luna, and the small New York-based startup launched their smart mattress cover in January 2015 on crowdfunding platform Indiegogo. Luna was an immediate hit, smashing the $100,000 month long campaign goal in just 6 hours (the campaign eventually raised over $1.2 million). Rebranding as Eight Sleep in November 2015, the company offered to turn any existing bed into a 21st smart bed. In the last couple of years Eight hasexpanded their range of products to include mattresses, pillows and sheets and more traditional bedding items. Eight’s ‘smart’ credentials came via the two piezoelectric sensors embedded into the mattress cover which can measure your heart rate, breathing and body movement. 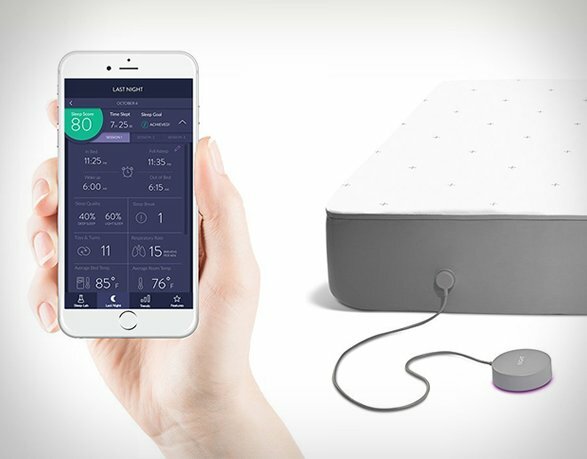 Eight uses ballistocardiography, a non-invasive technique which is shared by several other in-bed sleep trackers including Beddit, Withings Sleep and Emfit QS. 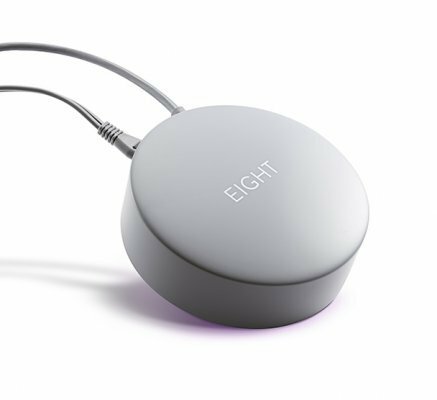 As well as measuring your body metrics, Eight also has sensors that can monitor your bedroom environment conditions (ambient light levels, temperature, humidity, noise level). Attached to the mattress cover is the Hub which stores and processes your sleep data, then uploads it to the ‘cloud’ where further analysis takes place, the end result of which is pushed to your phone in the accompanying Eight app. In terms of connectivity, Eight is fully compatible with IFTTT and Amazon Alexa, as well as Philips Hue lighting, Nest thermostats, Fitbit activity tracking and lots more. Eight also promises to be future proof, in the sense that software upgrades will enable your smart mattress to be updated without having to buy a new model. Because there are no wearables to bother yourself with, sleep tracking takes place seamlessly and automatically. The Eight cover can also track the sleep of two people in bed, so couples can experience the benefits together. Another unique feature of Eight is its bed warming features. Not content with being just another sleep tracker, Eight provides 10 temperature levels to choose from and you can set one of three modes – automatic (shuts off after 10 hours), schedule (set a start and stop time), and timer (set a desired start time). A really cool feature is that couples can set their own independent temperature zones for each side of the bed, keeping both individuals happy. Sadly, Eight only provides bed-warming, for solutions for hot nights, check out our comprehensive guide to the best hi-tech bed-cooling systems. After having a lot of success with their smart mattress cover, Eight have recently branched out into the competitive world mattress of mattress manufacturing. Currently, Eight have 3 different models to choose from, named in ascending order of price and features, The Saturn, The Jupiter and The Mars. 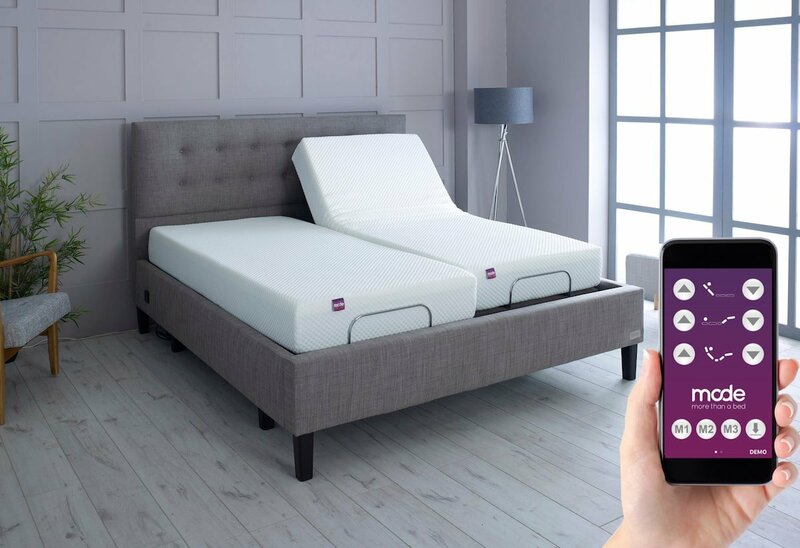 You can buy an Eight mattress without smart functionality, but if you want sleep tracking, IoT connectivity or bed-warming you’ll need to opt for the ‘+’ option, which gets you the mattress bundled with the Eight Sleep Tracker mattress cover. Although relatively new to the mattress industry reviews have been generally favorable. 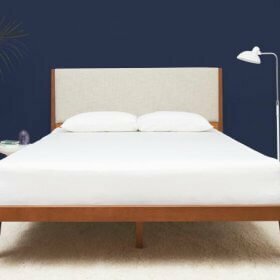 Eight Smart Mattress Jupiter+ Unboxing and Review with Discount Code! Eight have gone for the popular ‘bed in a box’ business model whereby your mattress is delivered by mail along with a 100 night trial to ensure your comfort over the long-term. There are 5 sizes to choose from; Twin, Twin XL, Full, Queen, King and Cali King. As well as mattresses, Eight are expanding their range of bedding products to include pillows, sheets, mattresses bases and more. Eight also offers a financing program for those who can’t afford to shell out a lump sum for a new mattress. One of the most well known and established names in smart beds is the range made by Sleep Number, made by U.S. manufacturer Select Comfort. In business since 1987, Sleep Number’s innovation was to be the first company to provide a bed with adjustable firmness. It achieved this by using use ‘air chamber technology’ – essentially Sleep Number beds are mattresses that incorporate inflatable air chambers which can be adjusted to find your perfect degree of softness, or firmness – aka your ‘sleep number’. But although Sleep Number was the first to introduce adjustable firmness, the company arguably didn’t enter the ‘smart bed’ market until the introduction of the Sleep Number x12 bed in 2014. The x12 justified its eye-watering $8000 price tag by integrating a dizzying array of hi-tech features into its existing air mattresses. Incorporating Sleep Number’s proprietary SleepIQ technology, the x12 was the first smart bed to offer fully integrating sleep tracking to analyse your sleep habits, and offer suggestion on how to improve your sleep. The x12 also offered the ability to independently adjust how firm or soft your side of the bed is, anti-snoring feature, ambient light and many more bells and whistles. Although now discontinued, the x12 paved the way for Sleep Number’s current range of smart beds, which include the itBed, 360 Smart Bed range, and the Innovation Series. Arguably, all of Sleep Number’s beds could be called ‘smart’ as you can add the SleepIQ technology option to any of its existing mattresses or bed. But for the sake of brevity, we’ll focus on the ‘smartest’ of Sleep Number’s offerings. The it™ Bed is Sleep Number’s affordable smart bed solution. The bed itself consists of the mattress which is available in the popular ‘bed in a box’ format which you can order online and arrives in a large box. Prices start at $999 for a Queen size, to $1399 for the Cal King option and you get a 30 day trial to test the mattress out for yourself. A frame and base accessories are sold for an additional $499, but you can use your existing bed base if you just want the mattress. The it™ Bed comes with the ActiveComfort Technology Module, which is the unit that adjusts air chambers to alter the degree of firmness. The bed features dual zone control which means that separate sides of the bed can be independently controlled for each bed partner. You also get SleepIQ technology with the it Bed, which uses sensors to track your heart rate, breathing and motion. This data can also be integrated with existing smart home and fitness tracking platforms such as Apple Health, Fitbit API, Withings Health Mate and the Nest Learning Thermostat. Launched in 2017, the 360 Smart Bed range, currently consisting of the i7 and i10 models, represent the pinnacle of Sleep Number’s smart technology. The 360 Smart bed is available in a range of configurations from $3299 for the basic i7 up to a whopping $6900 for the fully spec’ed i10 with all the options. So, what do you get for your money? Well, the list of functions is quite impressive. First, you need to know that the 360 Smart bed actually consists of 3 ‘layers’. First there’s the (optional) Flex Fit base – the actual mechanics at the bottom of the bed that can physically move you up and down (more about this later). Then there’s the ResponsiveAir technology layer, the chambers which you can inflate and deflate to adjust to achieve your desired firmness. And finally, the comfort layer – the bit you actually lie on, which in the case of the 360 series you can opt for either the i7’s 5″ dual gel memory foam, or the i10’s 7″ comfort layer. The 360’s ResponsiveAir technology differs to the it Bed in that it can automatically make tiny adjustments during the night depending on your sleeping position. For instance, if you’re sleeping on your side, it will let you sink a little into the mattress, but if you roll onto your back, the mattress will automatically firm up a little more. If you opt for the Flex-Fit adjustable base you can also raise or lower the mattress in an infinite variety of positions for reading, watching TV or even ‘zero-G’. There’s also a built in snoring detection system so that when the mattress detects an audible sign of snoring, the head of the base will gently raise by a few degrees, altering your head position and preventing you from continued snoring. Another feature of the 360 Smart Bed is automatic foot-warming. Because the bed knows your sleep routine it can automatically heat the bottom of the bed to warm your feet up which Sleep Number says can help you fall asleep faster. And finally, if that’s not enough, Sleep Number have added a nice little touch with some gentle LED lighting in the base of the bed. If you wake in the night, sensors will automatically detect you’ve got up (to go to the bathroom let’s say) and the LEDs which automatically switch on so you can see where you’re going. Unsurprisingly for such a sophisticated piece of sleep technology, the 360 Smart Bed also features a range of IFTTT and smart home integrations which are continually being upgraded in the SleepIQ ecosystem. Up next is the The ReST Smart Bed. 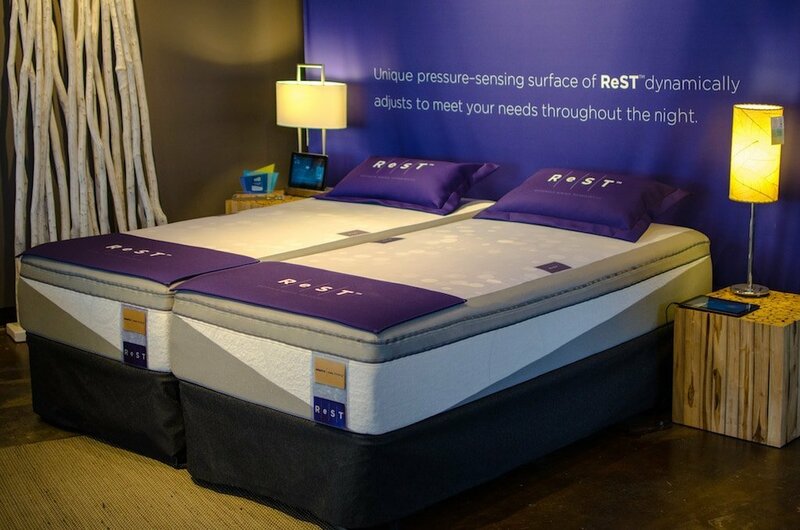 Whilst not as widely known as some of the other smart bed manufacturers, ReST has a proven track record in the medical sector and features some extremely advanced technology that combines their expertise in smart fabrics with an air-controlled auto-adjusting mattress comfort system. Responsive Surface Technology LLC, who make ReST is part of a larger holding company called PatienTech who design and manufacture smart fabric technology for the healthcare, sports performance and consumer sleep industries. The idea for the ReST bed came from one of PatienTech’s medical products, a bed designed to alleviate discomfort and reduce bed sores for immobile patients who were paralysed or in a coma. ReST is an acronym for ” Responsive Surface Technology’ and incorporates a unique type of sensor that’s actually made of cloth (or to be more precise it’s made of silver which is molecularly bonded to a Lycra fabric). This smart fabric also features a carbon-infused semiconductor that enables 2000 sensors to be embedded into the ReST Smart Bed facilitating extremely accurate measurements of body pressure. The sensor readings in turn enable ReST mattress to make automatic adjustments via an advanced air-controlled system which adapt to your sleep patterns, creating the optimal comfort and firmness levels for you. In some ways ReST is similar to Sleep Number’s ResponsiveAir technology, however there’s a big difference. Whilst Sleep Number uses two auto-adjusting air chambers, one and the top and bottom of the bed, the ReST bed contains five separate air compartments which correspond to the body regions of your head, shoulders, back, hips and legs. Not only does this mean that comfort levels can be more accurately mapped to your personal preferences, it also makes the ReST bed a modular system. This means that if, at any time during your ownership of the bed, a part fails, ReST make it easy to swap out and repair individual modules, rather than having to replace the whole bed. 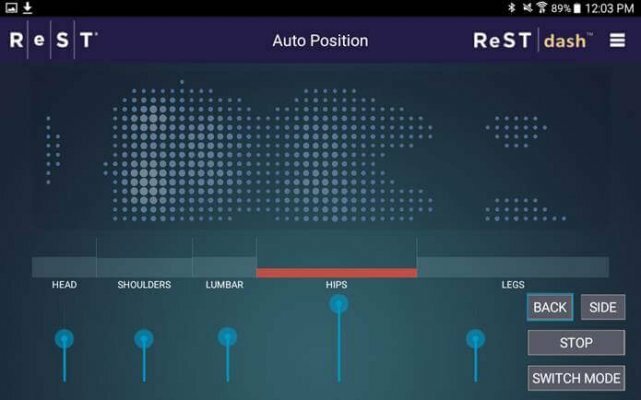 ReST can operate in 3 different modes; in Manual Mode, you can independently adjust each of the 5 body zones to your exact level of comfort. So for instance if you have a shoulder or back problem, you can tailor your bed firmness accordingly. In Auto Position Mode you set up how firm the mattress feels when you’re on your back, and also on your side. Once you’ve ‘locked in’ these settings the technology takes over and alerts you to any pressure hotspots. Finally, in Automatic Mode, you don’t have to do any work. The 2000 sensors are continually looking for pressure points, and when they find them, the bed automatically makes tiny adjustments in real-time, all whilst you’re sound asleep. ReST has worked closely with professional athletes and sportsmen/women to perfect the way their bed can help with recovery after training and injuries. The ResT system allows for better circulation and blood flow which is key to recovery as it increases the amount of oxygen available to the muscles as you rest at night. ReST’s experience with hospital patients makes their bed a logical choice for people who suffer from back pain whilst sleeping. 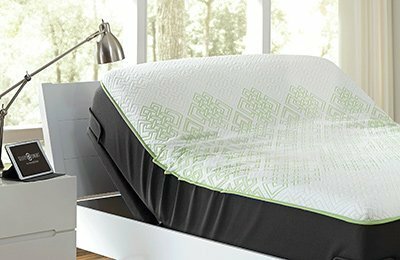 When you move, the ReST mattress responds to ensure optimal alignment of the spine with head to toe support. The real-time adjustment means that potentially painful situations like rolling over and waking with a stiff neck in the morning are greatly reduced. ReST comes in a variety of sizes and prices from a Twin XL starring at $2600 to the split California King at $5600. BeautyRest is the flagship brand of the Simmons Bedding Company, one of the oldest of its kind in the USA. Founded in 1870, Simmons was the first company to mass-produce woven wire mattresses and revolutionised the mattress industry by introducing spiral coil springs. Fast forward to the present and Simmons is now a billion-dollar company and is pushing into the growing market for smart beds. BeautyRest is hoping to accomplish this with a range of products – SmartMotion adjustable bed bases, and the BeautyRest SleepTracker in-bed sleep monitor. The SmartMotion base can be used in conjunction with any mattress and provides a range of smart feature as well as full integration with the BeautyRest Sleeptracker app. Features include wireless remote, Snore Relief, a 6-level massage system and a full range of adjustable head and foot positions including ‘Zero G‘ Preset for raising the legs above the heart. There are 3 different versions of the SmartMotion base, ranging from $999 to $1799. 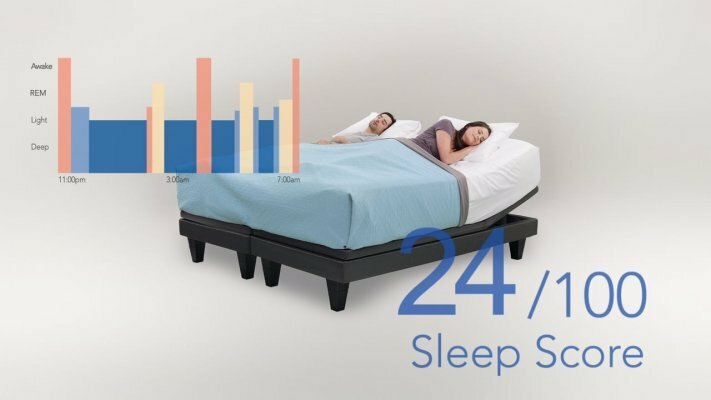 In recent years, BeautyRest has focussed on introducing sleep tracking technology into its range of bedding products. 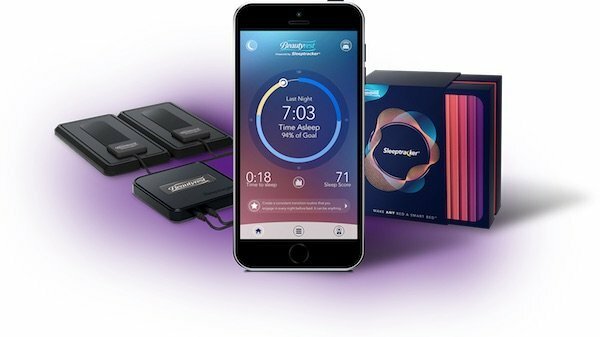 The BeautyRest SleepTracker is a hardware/app combination that allows you to benefit from detailed sleep monitoring and analysis without having to rely on wearable devices. The device is integrated into its range of Smartmotion bases and consists of two sensors and a control unit which can wirelessly track sleep for two individuals in bed. The BeautyRest SleepTracker is also available as a standalone in-bed sleep monitor that can be used with any existing mattress. Right now the smart bed market is extremely dynamic with lots of new and established companies introducing hi-tech bed and mattress products. Only time will tell which products will succeed in the marketplace so here’s a round up of some of the most interesting smart mattresses and smart beds available right now. 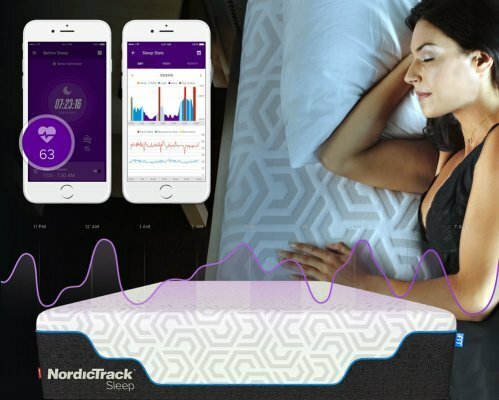 Most famous for their exercise and fitness equipment, Utah-based Nordic Track have recently branched out into the sleep technology market. NordicTrack Sleep is essentially a bed-in-a-box mattress combined with the NordicTrack Sleep Coach Sensor, powered by iFit, who make a range of fitness and activity trackers. The sensor tracks heart-rate and breathing and also offers sleep coaching and there are two of them so you can track both you and your partner’s sleep patterns independently. The mattress itself is a hybrid model with medium firmness and made of layers of gel memory foam, micro coils, and pocket coils. 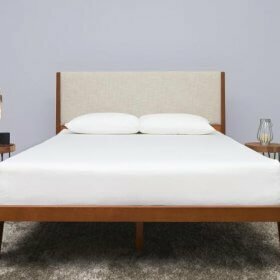 Nordic Sleep currently retails between $2300 and $4200 depending on size and configuration. USB charging ports – dual USB ports on both side of the bed for all your bedroom gadgets. The Mode Smart Bed can be controlled with either the accompanying smartphone app or the backup wireless remote control. Innovative features include memory control allows you to store up to three of your favourite sleeping positions and recall them instantly and an anti-snoring function which allows you to gently lift your partner’s side of the bed to reduce snoring. North Carolina-based Kingsdown have been in business since 1904, so they know a thing or two about mattresses. But far from being stuck in the past, in the 21st century, the company is expanding into the smart bed market. 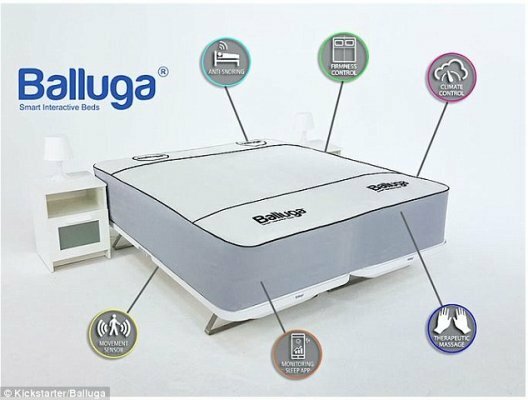 Balluga has a long list of features including climate control, adjustable firmness, sleep monitoring, anti-snoring detection, and a vibro-massage system. Balluga’s active-suspension system can monitor two bodies in real time, sensing pressure and adjusting the firmess of the mattress in real time to ensure correct lumbar alignment. 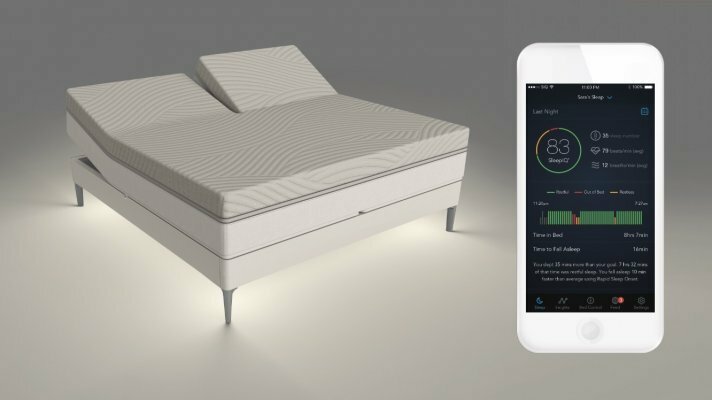 We hope you enjoyed our round up of the current smart bed and smart mattress scene. As we’ve mentioned, the market is extremely dynamic at present, with new and old companies competing and innovating to bring consumers the best sleep technology products into the bedroom. We’ll keep this page updated to let you know about the latest developments in the world of smart beds and smart mattresses. Enjoy, and sleep well!